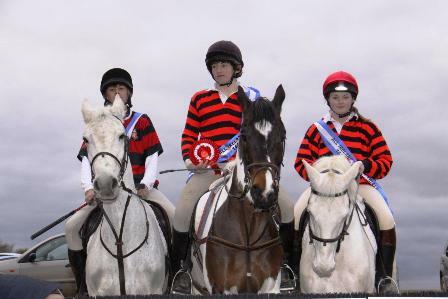 The All Ireland Inter Schools Hunter Trials Competition hosted by the Good Counsel Equestrian Committee from New Ross Co. Wexford took place in Curracruit Bagenalstown on Saturday last March 13th at Martin Fenlon’s course. 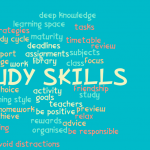 Given the fact that most of the best arrangements between God and man have been re-arranged due to inclement weather in the past year it proved to be one of the most reliable and safe courses that we can remember in recent years. 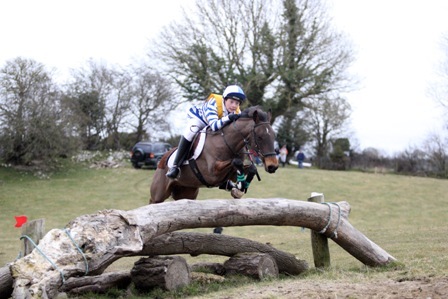 The course which hosted a very successful Hunter Trials for the Carlow Farmers the previous Sunday with an outstanding entry proved itself to be the most accomodating one could expect. Martin Fenlon and his staff are to be commended on the condition of the fences and the ground. The competitions commenced at the early time of 8.30 am with the Good Counsel Team Blue the first to participate and Fr John Hennebry, school Principal,raising the famous Good Counsel Blue and White flag at the start to the resounding sound of the hunting horn blown by Mr Martin Marshall who was Starter for the day. The day continued in the same fashion, thankfully with no incidents to report throughout. The team event which involved teams from as far apart as Athenry and Charleville continued at one minute and thirty second intervals. 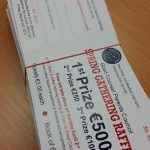 This event culminiated with the first three palces being awarded to Kilkenny College who had an unbelieveable entry of nine teams under the very watchful eye of Mr Paul Cuddihy. Paul is every parent’s wish when it comes to organising equestrian events for students and much credit is due to him on his endless energy. 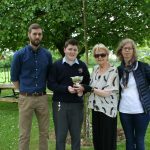 The Senior Singles followed and from an entry of over 200, last year’s victor, Paddy Fitzharris proved that to be no fluke by retaining the title from Alyssa o’ Neill and Shane Aylward representing the host school. The entry for the Junior singles again exceeded 200 and this time the host school of Good Counsel College collected as Shane aylwards younger brother, Cian went clear in the fastest time. The competitions were finished well in advance of fading light at approximately 4pm. The presentation of prizes followed and representatives from main sponsors, Tattersalls Ireland and Connolly’s Red Mills as well as from Horsesport Ireland were on hand to hand over the trophies to the winners. Great credit is due to all involved, a staggering show of volunteer effort from parents, friends, past pupils, students and staff of the school. In particular great thanks to the most unsung of all heros, the Fence Stewards who at the end of the day are the ones who are relied on to record the event and ultimately determine the overall result of the efforts of all the participants involved in each of the three competitions.